A Lovely Lady Turns 100! When Dorothy Burkhartzmeyer turned 100 on January 27th, she recalled that one of her finest memories was her wedding day. She told the Faribault Daily News that she wore a beautiful blue velvet dress and held a blooming bouquet of pink roses and leafy greens on that special day. This cake was created to embrace that memory. Her cake was shared among friends and family members on the day she turned 100 years old. The brush embroidery resembled the lace that was on the sleeve of her dress. She is an amazing lady who has offered the world so much through the years. 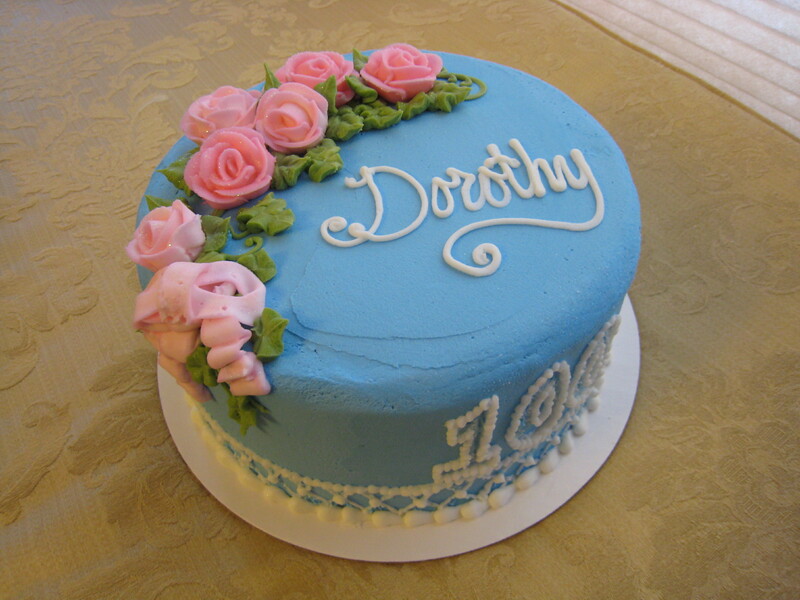 It was an honor to bake you the perfect birthday cake, Dorothy!